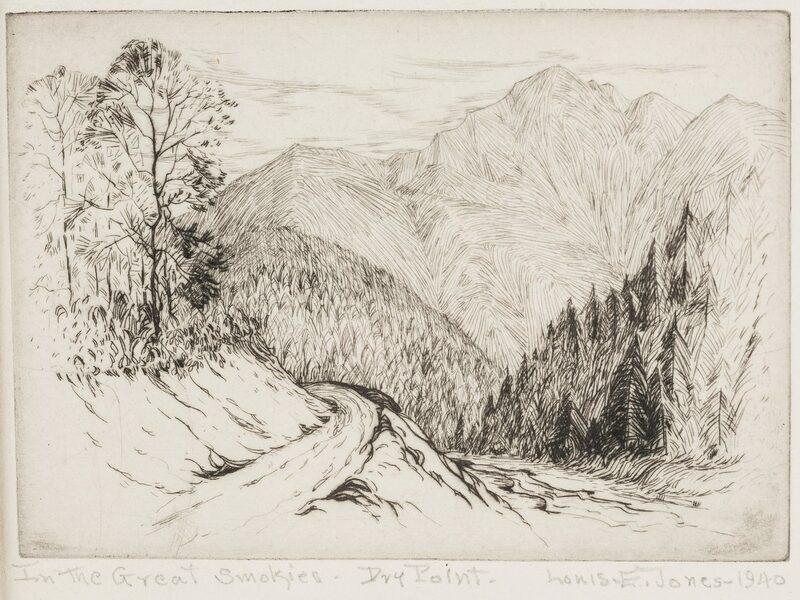 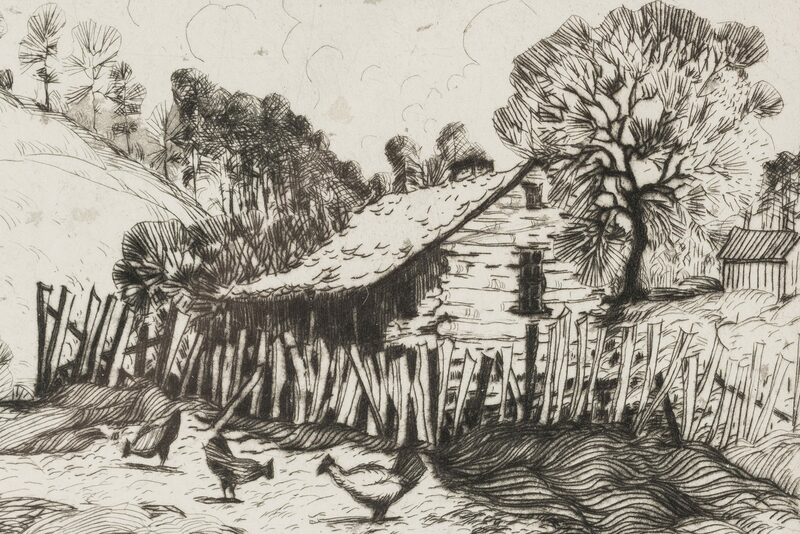 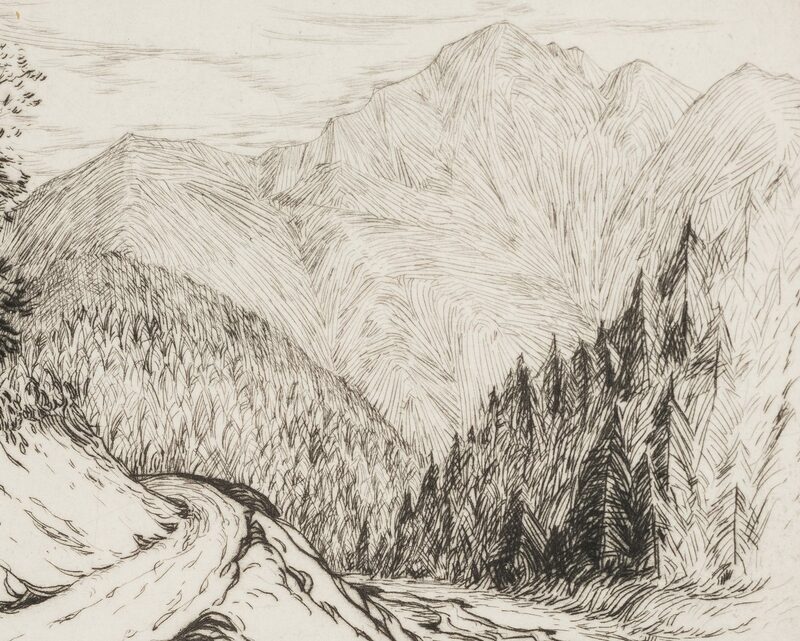 Group of three (3) Louis Jones (1878-1958, American/Tennessee) drypoint etchings, depicting landscapes in the Smoky Mountains. 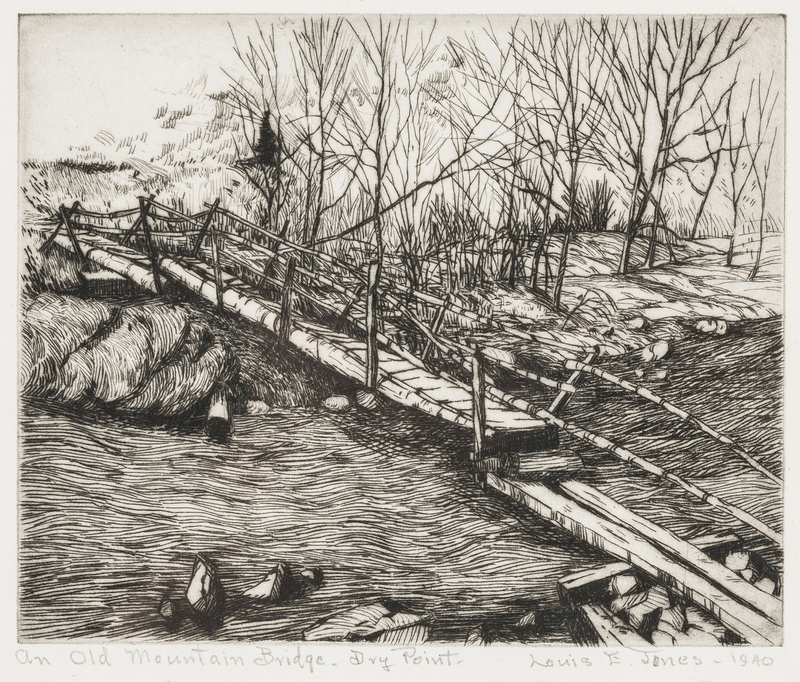 Each pencil signed, titled and dated. Titles include: In the Great Smokies/1940, An Old Mountain Bridge/1940 and Little Cabin in the Smokies/1937. 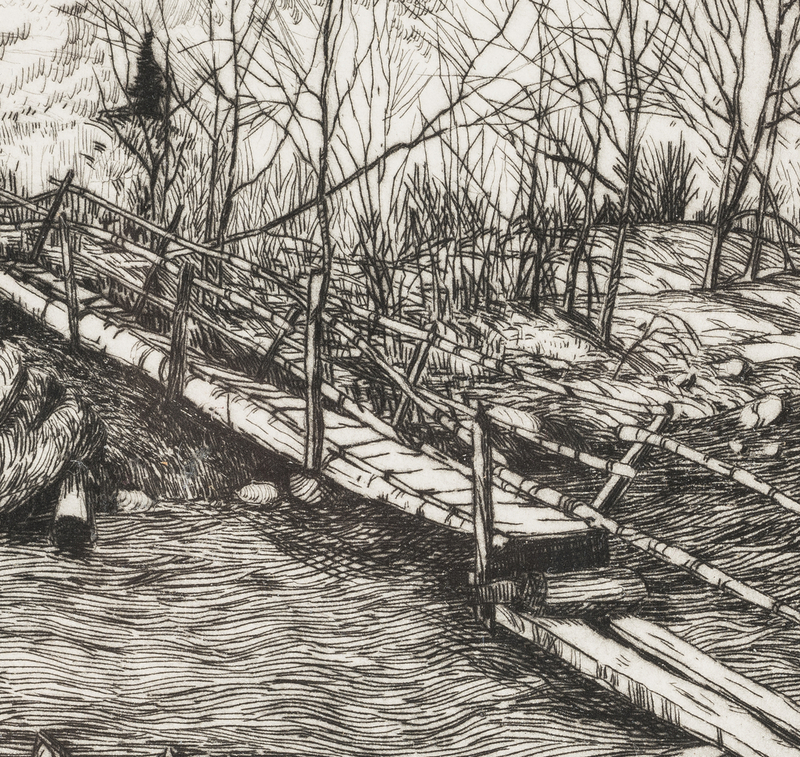 Etchings range in size from 4" H x 4 7/8" W to 4 3/8" H x 47/8" W. All housed in a contemporary 3-part frame, 8 1/4" H x 6" W, each frame. 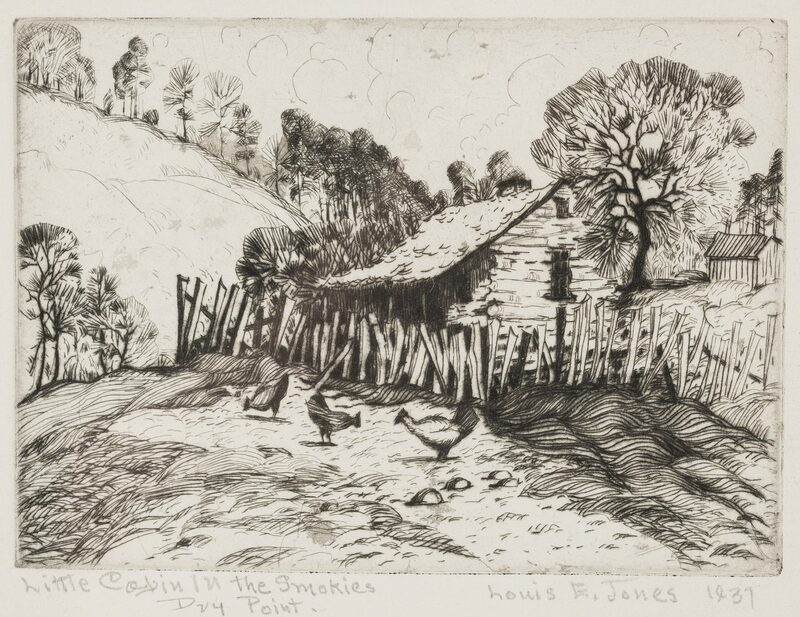 Note: Jones was an Impressionist painter from Woodstock, New York and established the Cliff Dwellers studio in Gatlinburg, Tennessee. CONDITION: All overall very good condition. 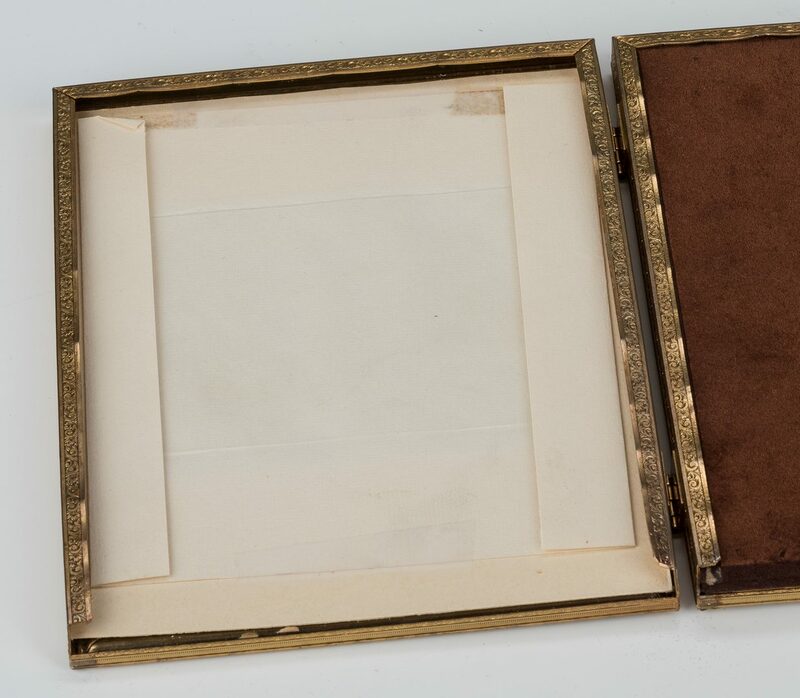 Margins of etchings have been folded to fit in the frame but appear to be uncut.